Welcome garland on arrival. Meet & assist, Later transfer to railway station to connect the train to Bodhgaya. Overnight on Train. Arrival Bodhgaya. Transfer & breakfast at hotel. Excursion to Rajgir, Rajgir is la site of great Sanctity and significance for Buddhists. Afternoon proceed to visit Gridhkutta Hill, Bimbisar jail & Ajatashatru's Fort. Lunch server at Rajgir and then will drive toward Nalanda, which is 12kms. Drive (15 minutes), and It was one of the oldest Universities of the World & International Centre for Buddist Studies, Nalanda was one of the greatest monastic universities of the ancient world University established in 5th century BC. It is believed that Lord Buddha and also the founder of Jainism religion Lord Mahavir taught at this university for years. There is even a monument to facilitate Chinese traveler monk and writer Hiuen Tsang who studied at this university in the 7th century A.D. After visit drive back to Bodhgaya. Dinner & Overnight at a hotel in Bodhgaya. Full day at Bodhgaya. 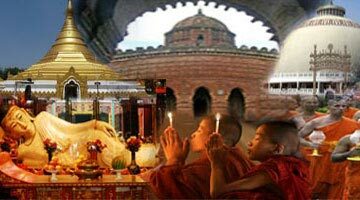 Visit Mahabodhi Temple, Sujata Village, Niranjana River & various International monasteries. All meals & Overnight at a hotel In Bodhgaya. Breakfast at hotel. Day free for meditation. Evening transfer to Bodhgaya Railway Station to connect the train for Kolkata. Overnight in Train. On Arrival Kolkata, transfer to hotel for wash N Change. 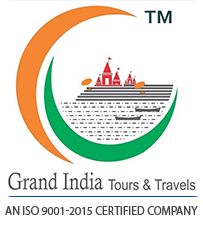 Later on city tour of Kolkata, visit Howrah Bridge, Victoria Memorial & Kali Temple. Evening departure transfer to airport to connect the flight for onward destination.